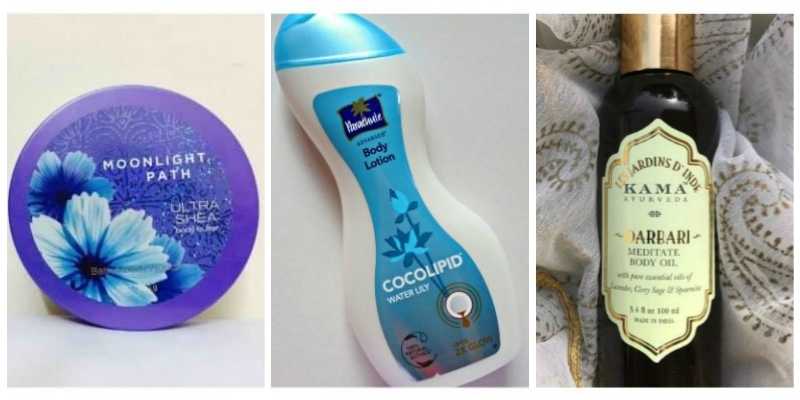 Home ReviewsBath and Body What is the Difference between Body Lotion , Body Butter and Body Oil ? What is the Difference between Body Lotion, Body Butter and Body Oil: Our skin is like any other organs in our body that protect our internal organs from outer environment, pollutants and microbial attacks. Our skin is made up of layers of protective cells that we call epidermis. There are small holes in the skin through which our skin excretes excess water to cool down through evaporation. When the external environment lacks moisture, the essential water supply of our skin gets evaporated which results in dry-dehydrated skin and eventually flakiness and premature aging problems begin. To keep our skin healthy and hydrated we apply moisture locking substances or various kinds of moisturizers. Among the common moisturizer formulas body lotions, body oils and body butter are quite popular. Clever use of these three can provide problem-free youthful skin that everybody dreams of. Body lotions are the lightest form of body moisturizers. They generally come in light to medium liquid form. They have the high absorbing capacity so they seep into the skin with minimal massaging. Body lotions are able to provide instant moisturization without the annoying greasy feel. They provide best results if applied on slightly damp skin. Due to the light formula, they are not able to lock the essential moisture completely in extremely dry winter months. So, it is advisable to use body lotions all year round except for the less humid days. Body oils are body moisturizers that stay in liquid form in the standard room temperature. Generally, body oils are nothing but large molecule fatty acids that cannot penetrate the skin cell walls. They sit on top of the skin and create a protective barrier. If your skin already has moisture, oils prevent depletion of it but cannot capture moisture like normal body lotions. Body oils work best on damp, freshly washed and towel dried skin. It can also be used to provide slip at the time of massage. I often use natural oils like coconut, almond or olive oils in the winter on top of my regular body lotion. Body butters are comparatively newer fellow in moisturizer arena. I would say they are the best of both the worlds, body lotions and body oils. They contain moisturizing substances of body lotions like glycerine, hyaluronic acid, urea, ceramide, vitamin E etc. along with natural oils. They generally appear in thick cream form and provides lasting hydration to the skin. They soften the skin as well as acts as a shield for keeping the moisture intact. Depending on the richness of the formula body butter can be used around the year. The thicker the formula, the greasier it gets. Keep your heavy body butter with shea, cocoa butter for the winters and use the lighter ones for the summer!